Artist presale tickets are available from Tuesday, March 19, at 10am local time through Thursday, March 21, at 10pm local time. General tickets are available from Friday, March 22, at 10am local time. 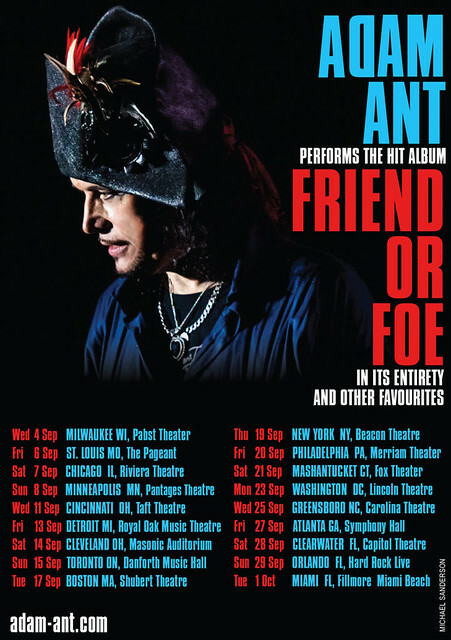 For more information, visit Adam Ant’s website. 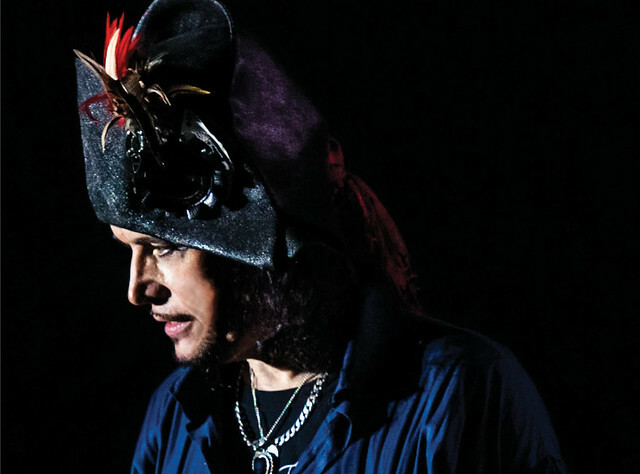 Adam Ant will play his landmark Friend or Foe album in its entirety — as well as classic chart-topping singles and personal favorites. The Friend or Foe album was Adam’s first release as a solo artist and included three hit singles. The massive hit “Goody Two Shoes” reached #1 in the United Kingdom, and it was also #1 in Australia and hit #6 on the USA Billboard Chart. “Friend or Foe,” the single, was another top ten hit in the UK while “Desperate But Not Serious” was the album’s third UK smash. Friend or Foe his most successful solo album to date, made #5 in the United Kingdom and certified gold album status on both sides of the Atlantic after selling over 100,000 copies. His 1979 debut album, Dirk Wears White Sox, was the first number one album in the UK Independent Albums Chart. The follow-up album Kings of the Wild Frontier that featured his trademark burundi beat style of African drumming spent 12 weeks at #1 in the United Kingdom and was the best-selling album of 1981. The Kings of the Wild Frontier album produced three UK chart-topping singles, “Dog Eat Dog” #4, “Antmusic” #2, and “Kings of the Wild Frontier” #2 — and it won Adam a Brit Award for Best New Artist. Buy tickets and VIP packages online.